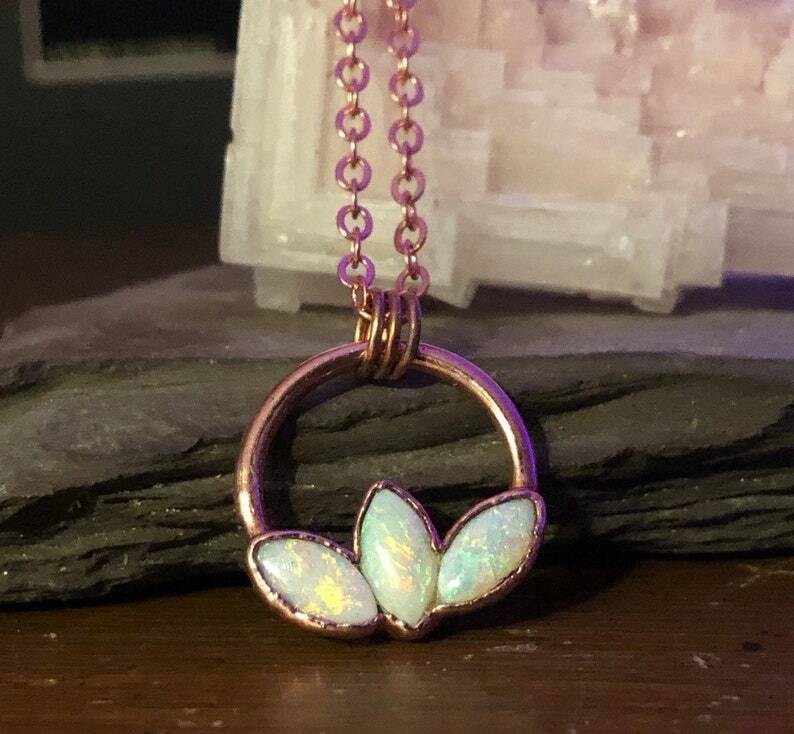 This pendant was crafted from pure copper and three genuine Australian Opals. These stones have amazing color play that can hardly be captured by a camera. 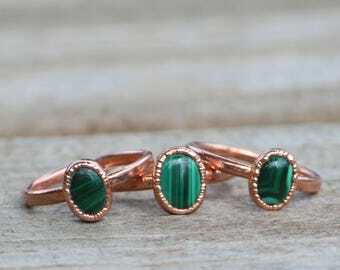 The piece will come strung onto your chosen length of copper chain. 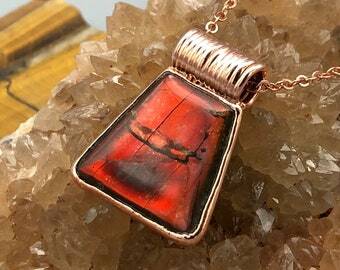 Please know that the pure copper on this pendant will age naturally over time. This necklace, as most of our jewelry pieces, was created through the process of electroforming. 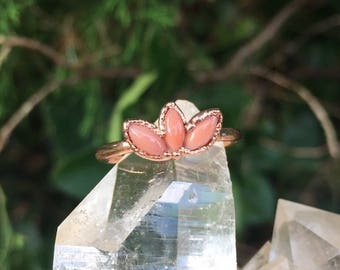 This allows us to grow copper onto various natural materials in many creative and unique ways. Each piece is one of a kind, hand-made with care, patience, and love for our craft.